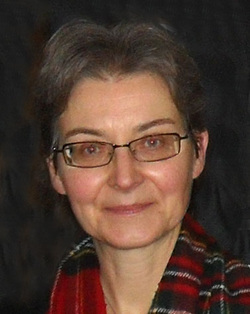 Anna Bentkowska‑Kafel <http://bentkowska.wordpress.com/> is an independent scholar and Research Fellow at the Department of Digital Humanities, King's College London, UK. Her research and teaching have been mainly on Early Modern visual culture in Western Europe and the use of advanced ICT methods in documentation and interpretation of art. Her publications in the area of Digital Art History include methodological papers on digital iconography and digital iconology, the evidential value of the digital image and the impact of interactive computer graphics on representation and interpretation of art and architecture of the past. She has been a committee member and editor for CHArt, Computers and the History of Art, since 1999, and was involved in two CHArt conferences on Digital Art History in 2002 and 2003. Presentation: "Scholarship of Digital Visualization of Cultural Heritage"